Well folks, we've been back in the U.S. for just about two months. The time has flown by. We've been bouncing from place to place; sometimes for extended periods of time and sometimes for quick visits. We'll be moving on to the next and almost-final destination soon, but in the meantime I wanted to pull together my thoughts on what the first few months back in the U.S. has been like for us. The biggest surprise? There hasn't been much reverse culture shock. I remember that sensation big-time after studying abroad ten years(!) ago, but this time around there hasn't really been any...at all. I think we've just been basking in the convenience of, well, everything too much to be bothered even in the slightest by any culture shock. Pleasant surprises abound! You forget about how much joy little things can bring you. It's walking into a Target and seeing adorable makes-life-a-thousand-times-easier-products. It's finding Garden of Eatin' Red, Hot and Blue tortilla chips and biting into one for the first time in three years. It's unpacking some of our stored boxes and seeing photos, mementos from college and other things we'd forgotten about. Speaking Italian is more fun here. It's like Italians in America have a radar for us, because we've met a handful of them and all they want to do is chat, hear about why we were in Italy and, of course, talk politics. If I'm being honest, it feels like there is less pressure to be perfect with our language. The people we meet are just so excited to speak with us. It reminds me a bit of the first few months in Florence when we initially moved there. Just excitement and a simple love of the language. I miss the little things about Italy. I miss walking to the grocery and bread shop each day. I miss the little piazzas that always felt like the essence of the city for me. I miss Livia stopping to explore nooks and crannies that kids her age have been fascinated by for centuries. I miss our friends more than anything. Was it nice to walk across the Ponte Vecchio and past the Duomo every day? Sure. But, I actually don't miss those anywhere near as much as I miss our friends. 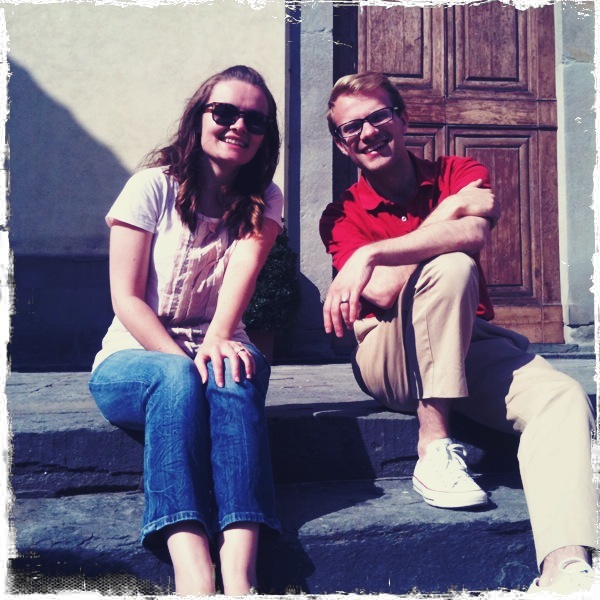 We met some amazing people during our time in Florence and not seeing them for a few months has been a big hit. It just reaffirms a very important fact about life: people make a place feel like home. 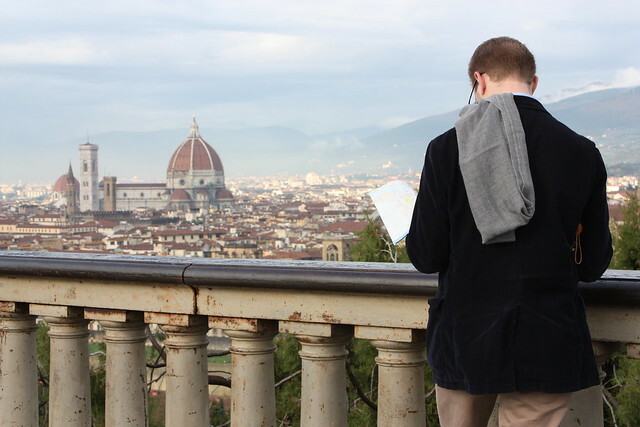 I'm going to be putting together some final guides and recommendations for Florence in the coming weeks and months. I want to get all of my favorites "on paper" before I start forgetting things. Stay tuned! For the first 18 years of my life I called Levittown, PA home. It was a nice place to grow up and I was always surrounded by my huge, ridiculous and crazy family. I encourage you to read the Wikipedia entry on Levittown as it's a pretty fascinating place. Fun fact: for the first 13 years of my life I thought everyone lived in houses that looked just like the house next door. The idea of having to ask where the bathroom was in a house was a funny notion to me because all of my friends lived in houses that were just a variation of mine. As I got older and learned to appreciate mid-century architecture my trips home always caused me pain because 98% of houses have been remodeled and don't include some of the amazing mid-century details that they once did. Nonetheless, it's still a fun place to drive around and get a little insight into what life used to be like. Neighbors, kids on bikes, walking to school. That type of thing. I knew pretty early on in high school that I wanted to get out of Dodge, so I started researching colleges on the East Coast. The first moment I stepped on campus at G.W. I knew that Washington, D.C. was the city for me. Choosing to head south to D.C. is the decision I credit with setting me on the path to where I am today. It's weird for me to think about, but Washington, D.C. is actually (to date) where I've lived the longest as an adult. It feels like a lifetime ago that I was there, yet I was there for 5 years. And, I really lived there -- even though they were my college years I actually lived there year round for all four years of school and one year after. I never "went home" for summers. I loved D.C. so so so much and it just became home for me very quickly. I still love Washington, D.C. 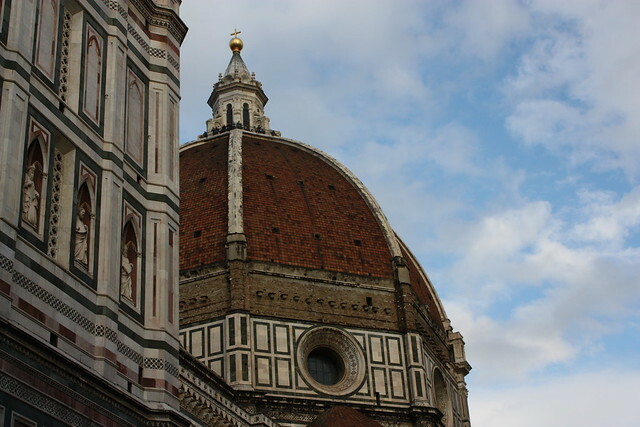 In many ways it's my "dream city" and what appeals to me about it is a lot of the same things that appeal to me about Florence -- walkable, good public transport, museums, culture, an appreciation for intellectual conversation. But, we left for a very simple reason: it was just so damn expensive to live there. Even with two good jobs it was month-to-month living there. I'd love to end up back there someday. I miss Dupont Circle, the neighborhood I lived in for three years and absolutely adored. When we decided to leave Washington, D.C. (right around the time we got engaged) we had no idea where to go. So, we did what any rational couple does: pulled out a map and started flagging cities that would be fun to live in. On paper, I was convinced that Nashville would be the spot and we tacked on a visit to Louisville almost as an afterthought during the trip to Nashville. Well, we ended up loving Louisville. We had a crazy UHaul journey from Washington to Louisville, but made it in one piece. Here's what I remember about Louisville quite fondly: our small, but adorable apartment in Old Louisville, our super cute house and fantastic neighborhood, really nice parks, a beautiful downtown with lots of great architecture, our wedding, very friendly people, good restaurants, Heine Brother's coffee, the few friends we made were amazing people. Here's what I remember about Louisville not so fondly: everyone was obsessed with basketball (but, they did win the championship this year, so it's for good reason), you had to drive everywhere, hard to meet people with diverse backgrounds, it never felt like home, limited cultural options, a no-good-very-bad apartment situation after we sold our house. I'll always look back on our time in Louisville with positive thoughts. We got married there. Found Winston there. Decorated our first home there. At the end of the day, I think we both learned a lot about just how important our surroundings our to our happiness -- and, what our city dealbreakers are. Being honest about what did and did not work for us about Louisville really helped us be rational about the next move. Back to L-town for 7 months. When you have the "dream expat story" a lot of people assume that you floated here on a cloud and magically landed under the Tuscan sun. In reality, we lived in my childhood bedroom for 7 months while we go our finances in order and dual citizenship figured out. That, of course, leads us to Florence, Italy. It's hard to believe that we've been here for 2.5 years already! It seems like just yesterday that we arrived, but so much has changed. We now have our daughter and are getting ready to move to a new apartment -- one that has a very "permanent" feel to it -- or, at least as permanent as anything can ever be for nomads like ourselves. Florence is such a good fit for us right now. Part of the reason we've ended up in a city that works so well for us is our experience living in these other places. You just learn what does and does not work for you. Florence works. Back in June, we hinted that we had spent a few days "working" on a fun little project. If you haven't already guessed by now, we're going to be on House Hunters International. Our episode is scheduled to air on November 28 and you can read more about it on the HGTV website. A lot of people have been asking us what the experience was like. The honest answer? It was interesting. The UK-based crew we had in Florence was seriously awesome (the top photo was snapped by the camera guy). 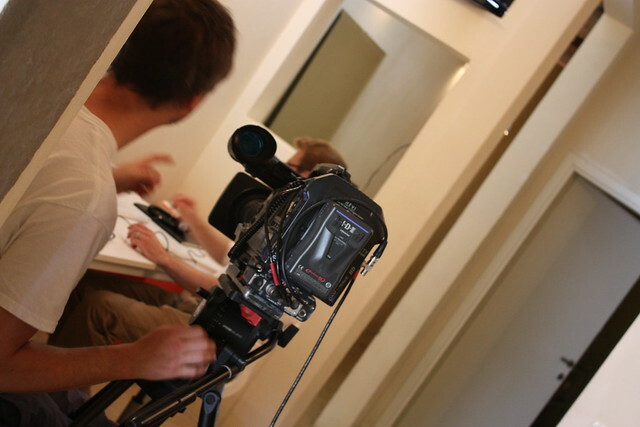 The shooting days are long, so you spend a lot of time with the sound and video guys and the director. They were at hoot and we had a great time (Rob may have even done his best British accent impersinations for them). I flew home to Philly to shoot "before" scenes and had a great crew there, as well. Although, I will always remember that 2-day trip home for the hellish USAirways experience more than anything else. All that being said, as a previous diehard fan (read: addict) of the show, I will say that the experience has totally ruined the program for me -- simply because I now know how things really come together; what's real (not much) and what's fake (mostly everything). A fellow blogger, Kirsten from Ivory Pomegranate, lives in Bishkek, Kyrgyzstan and recently had her episode of the show air. She did a great series of posts about her experience that sums up what it's like to film the show. Not great, not bad...just interesting, like I said. Fun sidenote: Kirsten and her husband are also both GWU grads and met there while undergrads. Small world, eh? A few times each week we receive emails from folks interested in/dreaming about moving to Italy. We get asked for a broad range of advice and it becomes difficult to give everyone the personalized response that they deserve. So, we've decided to write one blog post each week for the next two months dedicated to how we moved abroad. Starting next week, each post will cover one month of time. For example, next Monday we'll talk about what we were doing six months out from the move -- what we were researching and planning, as well as what was proving to be especially challenging. We're going to be really open and honest about our move in hopes of helping others. Our goal is provide enough information so that people can find the answers they need. We'll keep this series of posts easily accessible for new visitors, too. This week's post is all about what we learned prior to those last six months about how to live legally, work and actually survive in a new country. Warning: we are going to be exceptionally honest, open and direct. If you really dream of moving to Italy, it doesn't help for us to be anything but that. Lets begin with the most important things everyone should know about moving to Italy and life here. If you have seen Under the Tuscan Sun, erase it completely from your memory. Do not move here without a job thinking you will just "find one." It won't happen. Working for yourself (designer, photographer, writer) is the best way to be, but you need to have a steady income before you get here. Do not assume you will immediately find work. Teaching English for a living is damn hard work. Living here legally doesn't come easy. We know how ridiculously fortunate we are to qualify for dual citizenship. It takes a long time to make and nourish connections with people in Italy. These are all things we learned wayyy before we moved here. If any of those things make you uncomfortable you might want to reconsider a move to Italy. We've met enough people and read enough blogs to know that moving to Italy under just about any circumstances is totally doable, it just takes an insane amount of research, patience, time and humility. Research: it took nearly a year of piddling around on the internet for me to discover Italian dual citizenship. It took just as long to learn about the processes and to understand how it would work applying here in Italy. I also spent a ton of time researching daily life in a handful of Italian cities -- I read expat forums, blogs, articles, etc. I wanted to pick a city that could really work for us...not one that just looked pretty in photos. Time: If you are like we were -- working full-times jobs -- simply finding the time to undertake research and plan is quite difficult. It's important to carve out set time for researching your move. Make it a regular part of your routine. Even if it's just a few hours every Sunday, it's important to keep focused on your move, even if it seems very far away at the moment. Humility: The life of an immigrant is difficult. Think for a second about how hard it is for people to come to the U.S. and live legally -- it's like that in a lot of places, Italy included. Sure, you can easily come over here and live under the radar and not have problems, but if you are truly looking to move your life over here it's not the best way to go about things. You will be put in situations over and over again where you feel helpless or out of place or out of options. Humility is so very important. One of the best things you can do for yourself (and partner/friend/spouse if you are moving abroad with someone else) is to constantly ask yourself "why?" Why do you want to move to Italy? What are you hoping to get out of it? Are you attempting to live a dream you think exists because you saw it on a movie or TV show? Do you fully understand what life will be like in Italy? No place is perfect. If you are expecting Italy to solve life's bigger problems it's not going to happen. Rob and I spent A LOT of time talking through these things. Sometimes these conversations brought up even tougher questions or discussions, but it was what needed to happen. We arrived in Italy knowing why we wanted to be here and we had realistic expectations about what our life would be. We have enjoyed our first six months immensely because we understood what to expect.